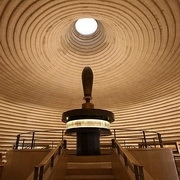 Jewish Heritage 14 Night Israel Tour - Galilee Travel, Inc. Arrival at Ben Gurion Airport, where you will be met by our representative and transferred to your hotel. Overnight in Tel Aviv. Start the day with a visit to the Independence Hall where the establishment of the State of Israel was declared; Next, drive to Latrun to visit the “Mini Israel” park including miniature models of the most important sites and buildings in the country. Continue to visit the Ayalon Institute, once an ammunition factory for the Haganah, the underground movement before May 1948. Proceed to Yad Mordechai, named after Mordechai Anilevitz, leader of the Warsaw Ghetto; Visit the restored battle fields of the war of liberation and learn about their heroic story. Overnight in Tel-Aviv. Visit the Diaspora museum. 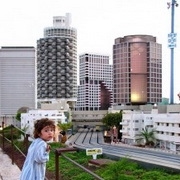 Drive around the main streets of Tel Aviv, center of business and entertainment of Israel. Stop at Rabin Square, place of the assassination of Prime Minister Yitzhak Rabin. Continue to Old Jaffa, an 8000 year old port city; Visit the ancient ruins and walk around the restored artist's quarter. Visit Neve Tzedek, the first neighborhood of Tel Aviv, built in 1909 and Nahalat Binyamin, a pedestrian street mall with its musicians, hand made jewelry and artifacts. Next, stop at Sheinkin, the lively and colorful street known for its unique shops, café life and youthful ambiance. Overnight in Tel-Aviv. Saturday - At leisure - Overnight in Tel Aviv. Sunday - Caesarea / Haifa / Acre Drive north to Caesarea, once the Roman capital of the region. See the excavations of the Crusader city, the Roman Aqueduct and the amphitheater which has been restored as a concert venue. Proceed to Haifa for a panoramic view from Mt. 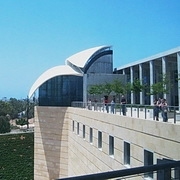 Carmel and visit “Af-Al-Pi-Chen”, the naval museum of the illegal immigration to Israel at the time of the British mandate. Drive to Acre; walk along the old harbor and local market. Continue to the northernmost point of Israel at Rosh Hanikra. Descend by cable car into the limestone Grottos. Overnight at a Kibbutz guesthouse. 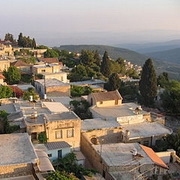 Drive to Safed, center of Kabbalah movement; Visit the Joseph Caro and the Ha’ Ari synagogues, the most important synagogues in the city; stroll around the Artists' quarter. Enjoy a Jeep tour to the foot of the Golan Heights. Continue to the Golan Heights, visiting an observation point over the city of Kuneitra, and the Syrian territory. 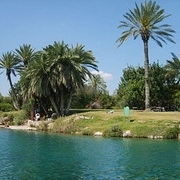 Stop at Tel Facher, a former Syrian army camp; Visit the Banias springs. Next, a visit to Tel-Hai; See the “Roaring Lion” monument and learn about the heroic battle of Josef Trumpeldor and his comrades in 1920. Overnight in a kibbutz guesthouse. Drive to Tiberias to visit Rambam’s grave. Proceed to Beit Shean, also called "Scythopolis", the biggest archeological park in Israel with beautiful excavations from Roman and Byzantine periods. Stop at Beit Alpha to see the beautiful mosaic floor of a Byzantine synagogue. On to Gan Hashlosha, (Sachne) where you will have an opportunity to enjoy the water springs located at the foot of the Gilboa mountain, the famous mountain where King Saul was killed in the battle against the Philistines. Continue via the Jordan valley to Jerusalem. 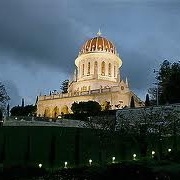 Stop at Mount Scopus for a blessing as you enter the city. Overnight in Jerusalem. 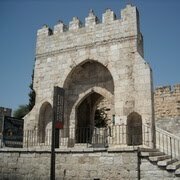 Start with a visit to the tomb of King David on Mount Zion. Walk along the Cardo, the ancient Roman road; Visit the four Sephardic synagogues in the Jewish quarter, all beautifully restored after the 1967 war. 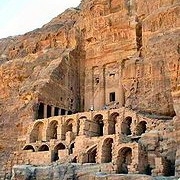 Tour the Kotel Tunnels; Visit the Davidson Center and walk through the Cardo, to the local Arab bazaar. Walk through Jaffa gate to the David’s Tower museum to see the ancient remains of the city beginning with the first Temple period. Overnight in Jerusalem. converted into a national memorial site and museum. Overnight in Jerusalem. Drive through the Judean desert to the Dead Sea. Stop at Qumran, the site where the Dead Sea scrolls were found. 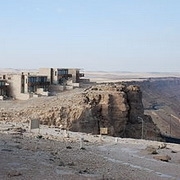 Continue to Masada, ascend by cable car and tour the ancient fortress, visiting the remains of the walls, palaces, synagogue, the bathhouses etc. Descend by cable car. Next stop is for lunch and Spa facilities at one of the leading hotels in the area. Overnight in Jerusalem. Saturday - At leisure -Overnight in Jerusalem. After assistance with visa to the Jordanian Border, drive straight away to Petra through desert highways, your ultimate destination is the astonishing rose-red city of Petra which was built by the Nabateans (An early Arab Tribe). Petra was renowned for its massive architecture, pools, dams and water channels. Petra is the legacy of the Nabateans who settled in the South of Jordan more than two-thousand years ago. The visit begins with the possibility of a short horseback-riding for about 700 m. until the entrance of the Siq, which is about 1.2 km long (walking distance). There is a possibility to rent a chariot (extra) to get inside Petra and back to the gate outside. Petra is famous for its huge monuments such as The Treasury, Royal Tombs, The Court, Roman Theatre, Roman Street, Qasser El- Bint (Palace of Pharaoh’s daughter) and many other smaller monuments which fascinate the visitors. The city itself is almost 45 square km and is considered to be the second wonder of the world. After the visit, time for lunch in a nice restaurant. After lunch drive back to the border. 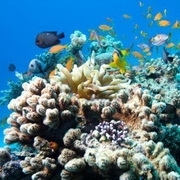 On the way, a short visit to Aqaba with the possibility to stop and take a walk around the city. Transfer to border around 18:00, and then cross to Eilat. Overnight in Eilat. Wednesday - Tel Aviv / Ben Gurion Airport - After breakfast, transfer to Ben Gurion Airport for departure.